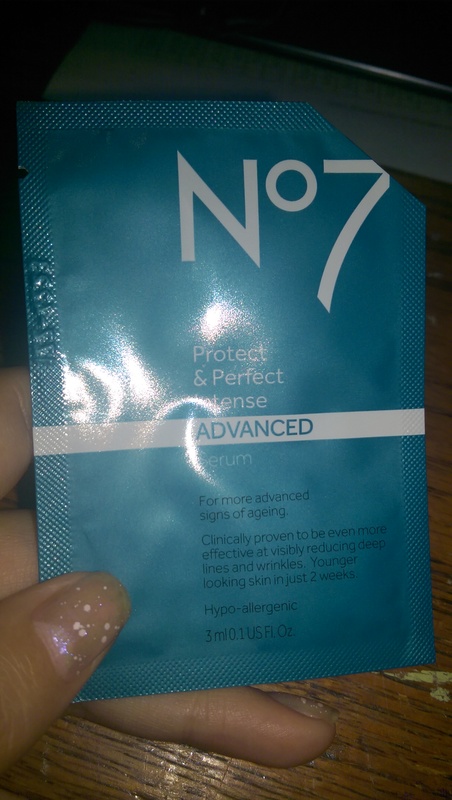 As part of my Frosty VoxBox I received a sample of Boots No7 Protect & Perfect Serum complimentary (that means free) from Influenster, for testing so my opinions are my own. 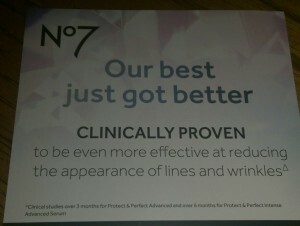 the tiny fine print says Clinical studies over a 3month period for the serum and over 6 months for the Intense serum. 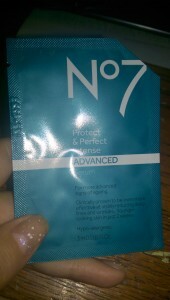 This is the foil I received, as you can see its a foil and I got the Intense serum. 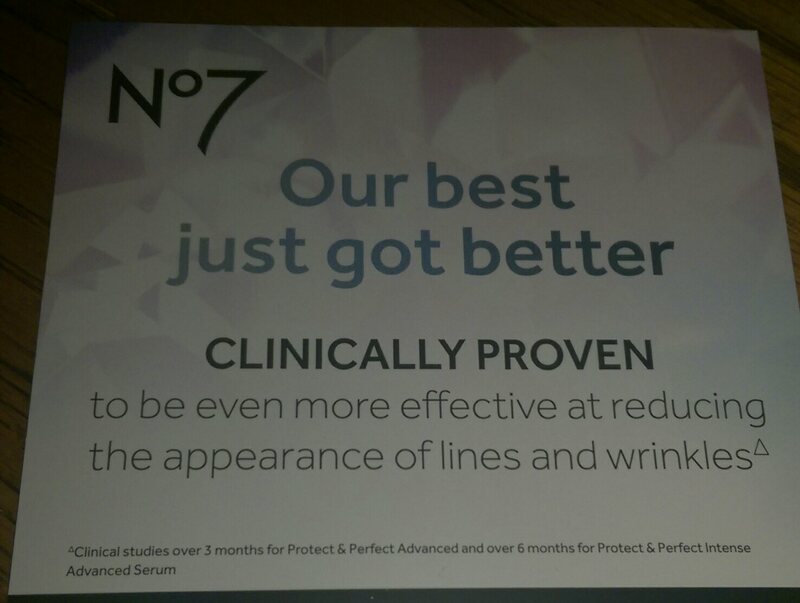 now lets think back to what that fine print said for the intense serum. 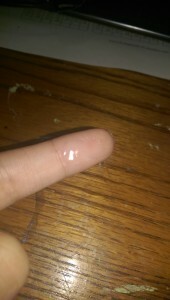 now back to the size of the foil. The sample wasn’t big enough for me to really see a difference after a week when I look into the mirror, Am I willing to invest in it for the price of a 1oz bottle at target., Not right now.I’m already spending more then Id like for my dermatitis I’m a mom after all and my family is on a budget and $25 for a hit or miss vanity item for myself is a no go in this family for now.